Can Melissa McCarthy finally win us over in her latest film? 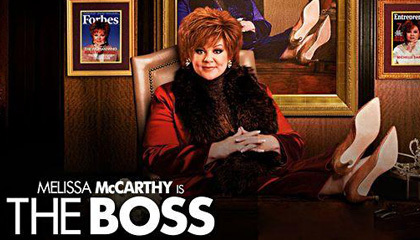 Jamison Rabbitt of Real Films Podcast, Reel Reviews, and Movie Mojo Monthly helps us break down her latest, The Boss, and try to find pleasure in Ms. McCarthy's brand of humor. Along with the review, we share our best and worst ex-convicts in movies.